By No Shark Cull Inc. Warning: a graphic image is featured below. Recently, the Western Australian's Environmental Protection Authority stated that the state's proposed drum line policy would have an uncertain impact on the marine environment and recommended that the program ceases. Based on this recommendation, the state and federal environmental ministers were required to make a final decision on the program. However, at the last hour (no doubt after robust conversations between WA and the federal departments), the Western Australian government withdrew its application to have the program considered. The public would learn hours afterwards, that the main reason that the application was withdrawn, was because a closed-door agreement had been reached to allow the Western Australian government to exclusively catch and kill protected and vulnerable shark species as part of an imminent threat policy without federal oversight. What defines an imminent threat though is yet to be defined, however, based on previous guidelines, the policy can be used when a shark is sighted near the shore or after a human-shark incident; whether it be a shark bite or a shark bite fatality. To do this, the federal government has had to provide the Western Australian government an exemption to catch and kill great white sharks. This exemption is provided due to it being in Australia's "national interests" despite a year old White Shark Recovery Plan in place. In what can only be described as a trying to have their cake and eat it too, the federal government has ignored the reasons for having the 2013 White Shark Recovery Plan which largely revolves around declining populations due to low levels of reproduction and significant pressure from the Australian commercial fishing industry. 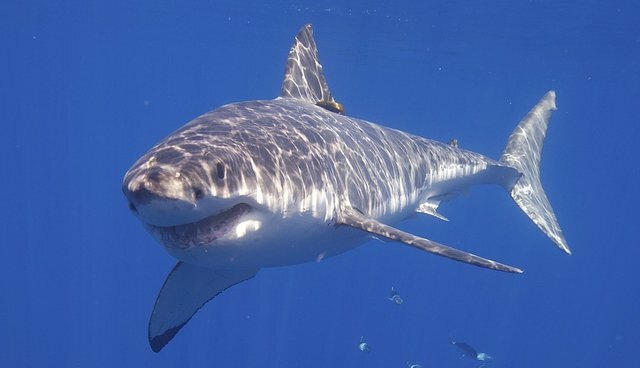 It has instead said, that despite the fact that there are only approximately 700 breeding individual Great White sharks in the southwest and an estimated 100 great white sharks caught per year through commercial fishing, it is in Australia's national interests to kill more, knowing that shark control activities are one of the top two reasons for the great white's decline. But what has been conveniently left out of this debate is why it is in Australia's national interests to protect the great white shark. As an apex predator, great whites remove the sick and diseased marine life from the ocean, ensuring that the fish and shellfish that humans consume are of good quality. They also increase the quantity of seafood for human consumption; the loss of sharks in the North Atlantic in the early 2000s resulted in an increase of rays and skates by as much as ten-fold, which consumed an abundance of scallops, clams and oysters to the point that the century-old scallop fishery completely collapsed. Shellfish filtrate our ocean by feeding on phytoplankton that they filter from the water column and which helps maintain a high level of water quality. The presence of great whites in an area will change the behaviors of marine creatures such as rays, dugongs and turtles which consume shellfish and seagrass gardens and could wipe out entire marine ecosystems. By keeping these systems in check, these sharks are in fact controlling algal blooms, dead zones and the marine ecosystem. So the question must be asked, how is removing sharks in Australia's national interest, particularly when an imminent threat can be removed by closing the beach as they do in New South Wales and in Cape Town, South Africa? Wouldn't it be in the country's national interest to adhere to the recovery plan and have sustainable and high quality seafood and healthy oceans instead? This mentality of a quick fix over and above long-term solutions has to stop. Australia's policy needs to go back to its roots whereby a holistic approach is considered and science-based solutions are implemented. After all, the Western Australian Premier is the state's Science Minister who, along with the Federal Evnironment Minister has a role to protect our environment for future generations.